It is preventative and encourages balance and living in harmony with the environment, to promote and maintain health. Symptoms are seen as helpful, enabling us to tune into and respond to their signals. There is no better way to illustrate how connected we are to our environment, than how our hormones respond to the changes of the seasons as we transition from Winter to Spring. As we enter Spring and the days are getting longer, the body responds by producing less Melatonin. Melatonin is the hormone that we produce more of during the Winter months when the days are shorter, to tell the cells in our body when it is night-time and to help us sleep better and longer. It may take several weeks for the Melatonin levels to drop during the transition to spring. At the same time Serotonin (also known as the happiness hormone) starts to rise, with the opposite effect of Melatonin and brings about increased energy and vitality. For those who suffer from Seasonal Affective Disorder (SAD) with lows or depression during winter, Spring can be a turning point and bring about a lift in mood. 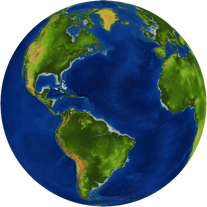 The fastest rate of change in daylight hours occurs around the equinox, which this year is on March 20th. For some the body can become confused for a few weeks, as the two hormones balance. Symptoms that may be experienced as the body catches up, may include headaches, sleepiness, tiredness, joint pain, irritability and distraction. This phenomenon has been called “Spring Fever”. Chronobiology is the biology of time and our biological (circadian) rhythms in relation to the cycles in nature. social culture wants us to do. For example, in the Winter, 85% of the western adult population set their alarm clock to get up when it is dark, which can be quite unnatural for the rhythm of our body and can interfere with our metabolism and hormones. Also, using computer screens late at night, can lead the body to believe it is still daytime, which affects sleep patterns and consequently our overall health. We are uniquely individual in our response to daylight and night-time cycles, our so called chronotype. This is known to be due to our genetics. Just as there are extremely tall and short people there are also extremes of chronotypes with the majority in the middle. Some of us are naturally night owls and others early birds and it is best to honour our inherent natural rhythm. 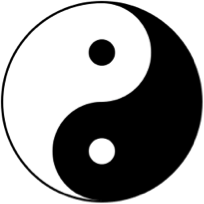 Living in dissonance with this leads to greater risk of health problems. This also changes with age, with 1 year olds and 80 year olds being quite similar in sleep requirements. Teenagers to 25 year olds are much later in their sleeping and waking hours rather than this being due to laziness. We require clear contrast between daylight and darkness to help regulate our circadian rhythm, to allow for better sleep and enable us to wake more naturally and refreshed for a productive day. It is not possible to receive enough lux (light intensity) from indoor lighting during the day, to provide this contrast. We can instead ensure that we see as much natural daylight during the day and as early in the morning as possible and remove the blue spectrum light after sun-set. Holistic therapies support, empower and enable the individual to tune into the sometimes subtle signals of their body’s natural wisdom, in relation to their environment and understand how they may better support themselves. Reflexology works in this way and is proven to improve sleep patterns and mood. It is thought to do this by bringing the hormones and nerves (neuro-endocrine system) into natural balance, thus improving overall health. trained therapists, to improve hormone balancing for fertility, for couples trying to conceive naturally. Success rates are reported to be 68%. The treatment includes temperature charting to tune into and follow the natural rhythm of the menstrual cycle, enabling assessment of the hormone balance during the cycle to adjust treatment to support pregnancy. In Traditional Chinese Medicine, the Liver and Gall Bladder are the organs associated with Spring, so it is important to support these too. A simple way to do this can be with Apple Cider Vineger preferably organic from the mother tincture, taking 1-2tsp in a glass of water an hour before food. Cheers ! Reflexology, Reproflexology, RLD, Bach Flower Remedies, Indian Head Massage. Internal Time: Chronotypes, Social Jet Lag, and Why You’re So Tired. Reflexology for Fertility. Barbara Scott. 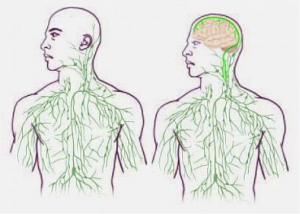 In this article I give an introduction to the Lymphatic system, what it is, why it is so important and how you may support this to promote better health and wellbeing. The lymphatic system is part of the circulatory system in the body and serves the very important function of detoxification and fighting infection. It also helps remove excess fluid from tissues and helps absorb fat from around the intestine. The lymphatic system transports lymph, a clear fluid, containing infection-fighting white blood cells, via a network of lymphatic vessels and organs. Lymph is derived from fluid surrounding the cells of the body, containing waste products from cellular processes. It also comes from excess fluid (plasma) from the arterial blood circulatory system, after it has deposited nutrients and oxygen to the cells. Most of the plasma (approx. 85%), returns to the venous blood circulation for transport back to the lungs for oxygenation. The remaining 15% (which may be up to 3L per day) becomes lymph. Unlike blood, which flows throughout the body in a continue loop, lymph flows in only one direction — upward toward the neck, along the lymphatic vessels which have one way valves. It relies on muscular contraction, to move the lymph effectively, since it doesn’t have an active pump. Lymphatic vessels are connected to lymph nodes, where the lymph is filtered and cleansed to remove toxins, infection, cancer cells, waste and other unwanted debris and materials from cellular processes. Lymphatic vessels then connect to two subclavian veins, which are located on either sides of the neck near the collarbones, and the cleansed fluid re-enters the circulatory system. There are hundreds of lymph nodes in the human body, either located deep inside the body, such as around the lungs and heart, or closer to the surface, such as under the arm or groin. These swell when we are fighting infection while they are producing white blood cells called lymphocytes, which produce antibodies that specifically kill foreign bacteria, viruses or other infections. The tonsils, adenoids, spleen, bone marrow and thymus are also part of the lymphatic system involved in detecting and fighting infections. So the lymphatic system is very important for maintaining our health and wellbeing. Without a correctly functioning lymphatic system excess fluids and toxins would build up around cells creating dis-ease, fatigue and illness. Whilst the lymphatic system runs throughout the human body, it was thought that the brain lacks a lymphatic system, as it has never been observed, until research was published in the journal of Nature just two years ago in 2015. We still have much to learn about the human body and this discovery has implications for our understanding of neurological conditions, which have an immune component. Maps of the lymphatic system: old (left) and updated to reflect the new discovery published in 2015.University of Virginia Health System. Factors such as stress, tension, dehydration or lack of physical activity can cause lymph vessels to become clogged with protein and lymph flow to stagnate or stop. This can result in tissue swelling (oedema) or excess fluid build up around the cells (lymphoedema) usually of an arm or leg. As toxins accumulate, cells are not able to function optimally, manifesting in colds, joint pain, infection and dis-ease. Primary Lymphoedema can occur in some individuals born with a poorly functioning lymphatic system and is less common than Secondary Lymphoedema, which can occur as a result of surgical removal of lymph nodes for cancer treatment in approximately 20% of patients, or as a result of injury or infection. The swelling can be quite debilitating and uncomfortable and affect quality of life. Efficient activation of the lymphatic system will increase the volume of flow and hence improve the body’s ability to cleanse and detoxify. So how can we support the lymphatic system to improve lymphatic flow, to improve detoxification, reduce swelling and improve the immune system? Physical exercise is key to aiding good lymphatic flow, such as walking or swimming. Rebounding on a small trampoline is also a fun, popular and effective way to do this. The up and down rhythmic bouncing causes the one-way valves to open and close simultaneously increasing lymph flow many times over. Deep diaphragm breathing is also important. Drinking plenty of water prevents slowing and stagnation of lymph flow. Dry skin body brushing always towards your chest in the direction of lymph flow, avoiding sensitive areas or broken skin, will help rid your body of toxins and improve your immune system. This also has the advantage of exfoliating the skin for a healthy glow. 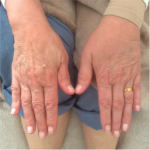 A specialised Reflexology technique for lymph drainage (RLD) promotes lymph flow. RLD is a particularly non-invasive and relaxing treatment usually on the feet. This is used effectively to reduce lymphoedema in patients who have had lymph nodes removed after breast cancer surgery and to reduce pain associated with lymphedema. RLD has the advantage that it is away from any area of surgery and is also known to improve mood and a sense of wellbeing. Finally, cold water immersion is very beneficial as it causes lymph vessels to contract, forcing your lymphatic system to pump lymph fluids throughout your body, flushing the waste. Research studies have also shown this to help treat depression symptoms and boost metabolism for weight loss too !! ….. ice bucket challenge anyone ! 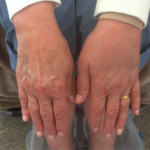 Images before and after Lymph Drainage Reflexology (RLD) treatment on the foot in a secondary lymphoedema patient. Article written by Tracy Mills for Local People Magazine issue Sept 2017. Tracy is a full time holistic therapist, passionate about helping you improve your health, wellbeing and quality of life. Her main treatment is Reflexology for promoting relaxation, improving mood and sleep and is an experienced practitioner of RLD. Structural and functional features of central nervous system lymphatic vessels. Louveau A, et al Nature. 2015 Jun 1. In this article I look at ways in which we might improve our quality of life and wellbeing, particularly during the cold dark winter months. I turn to Denmark, the country that has attracted much media interest since taking the top spot as happiest country in the 2016 UN happiness rankings out of 156 countries in the world. This is despite Danes paying higher income tax than any other country, at a whopping 56%! Their weather isn’t even that great with their long dreary cold winters with up to 17 hours of darkness in a day. Perhaps it is no coincidence that the Happiness Research Institute is based in Copenhagen and has undertaken several decades of research focusing on improving wellbeing, happiness and quality of life across the world. 9/10 Danes according to the institute don’t mind paying higher income tax and investing in society as it brings free healthcare, university education and unemployment benefits, elevating those at the bottom, so reducing extreme unhappiness and anxiety. There is seemingly less of a class divide in Denmark. They have the best work life balance in the developed world with a 35 hour working week, 5 weeks annual leave plus state holidays and generous maternity and paternity leave. The Danish culture is not particularly ostentatious or materialistic, in fact quite understated, instead preferring the simple pleasures in life. Progress is not just measured by money but also by improved quality of life. Perhaps we could all take a leaf from the Danes book. So how can we bring a little bit of the Danish feel good factor into our every day lives ? Some say Scandinavians have a genetic predisposition to happiness. That said, much of their lifestyle mindset can be exported to other countries to promote a feeling of wellbeing that does not necessarily need to cost much. So what is this? The Danes have a word for it, called “Hygge” pronounced Hoo-Ga. It is derived from a Norwegian word meaning well-being. It is more of a feeling and can mean focussing on the simple pleasures, hugs, comfort and cosiness, spending time with friends or family, or simply on your own reading a good book with candles and blankets by the fire. It is making ordinary, every day moments more meaningful, beautiful or special. It is about being kind to your self – indulging and having a nice time – it is not restricting diet or strict New Years resolutions. There is a strong element of social interaction and belonging in an inclusive setting, which may be a simple gathering of friends to play board games, enjoying a meal together, taking a walk or cycling in the countryside, appreciating nature or singing in a choir. It is about being in the present moment and not spending time on social media or work emails at the weekend. These all have recognised health benefits, for example singing increases oxytocin the happy hormone, which can help reduce pain. Those with strong social ties have a longer life expectancy than those with poor social connections. This difference in longevity is about as large as the mortality difference between smokers vs non smokers and larger than any other health risks associated with many well known lifestyle factors such as lack of exercise and obesity. A strong social life reduces stress and helps the immune system to stay strong. Of course if the dreaded cold does get the better of you, give yourself permission to rest and recuperate, stay nourished and hydrated. 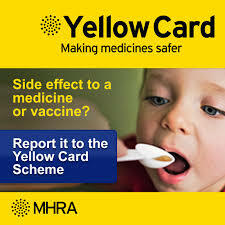 You probably won’t feel much like socialising or going out anyway and staying at home prevents passing it on to others, being particularly mindful of those more vulnerable in the community such as the elderly whose immune systems are more compromised. A few sprigs of thyme with honey infused in boiling water – a great soothing respiratory antiseptic that can be grown on the windowsill. For an occasional boost a weeks supply of Royal Jelly – again bees use this to feed the Queen bee, helping her to live up to 40 x longer. On the subject of cosy blankets, sleeping under a weighted blanket to feel swaddled is now understood to help improve sleep and reduce anxiety . Seek the guidance of a doctor as this may not be suitable for everyone, for example those suffering from respiratory, circulatory and other conditions. If you enjoy reading, then one of my personal favourite feel good books is “The Power of Now” by Ekhart Tolle. ‘The Little Book of Hygge” is also good. When feeling stronger some good walks in the fresh air for building strength are wonderful and even better with a bunch of others for company. The Ramblers Association offer a wide variety of walks and also work to help keep footpaths accessible. From spring onwards they will offer shorter walks for health. Local groups like the Bollington Bridgend Community Centre also offer regular weekly walks. Touch therapies such as massage and reflexology also promote relaxation and wellbeing and increase levels of the feel good hormone oxytocin. Give yourself permission to take time out, put your feet up and indulge in some relaxation ! You would be in good company, as the well-known TV presenter Julia Bradbury has just listed reflexology as one of the five things together with country walking and her children, that she would not live without. Article written by Tracy Mills (B.Sc Hons, Genetics), MAR, PRM, ARR, BFRP, for The Macclesfield Local People Magazine issue Feb 2017. Tracy is a full time holistic therapist with a Biomedical research background, passionate about helping you improve your health, wellbeing and quality of life. Her main treatment is Reflexology for promoting relaxation, improving mood and sleep.